The first steps basic to qualification as super-organic is to attain GMO-free no chemical additives verified. The first level that must be authenticated is non-GMO. Non-GMO is confirmed through photographic evidence of vine-plants followed by on-site inspection. A vine-plant that is not genetically modified is markedly different from a grafted mutant hybrid not on its own natural root vitis vinifera vine. There is invariably also a history of the derivation of the vines, the planting procedures and schemata, including density which seriously affects nutrient availability. 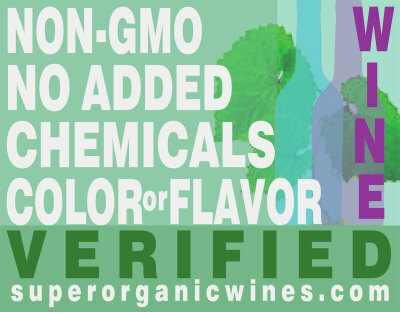 A certificate of "non-GMO verified" will be awarded to the winemaker or winery once the inspection and review is completed and the result meets all necessary criteria. The participant may also seek verification of compliance with standards required to achieve a second level of wine verification, determining that the wine is free of chemical additives, artificial flavors, artificial colors. It must also be authenticted that there are no added sugars, only native yeasts, no foreign bacteria, no chemical intrusion at all. No adjustments for acidity. No heavy manipulation, such as centrifuge, micro-oxygenation, reverse osmosis, cryoextraction, spinning cone. Minimal or no added sulfites. Gluten free and vegan pure. A certificate of "no added chemicals, no flavor or color added" will be granted to the winemaker or winery once the inspections, investigations, and reviews are completed and corroborated. 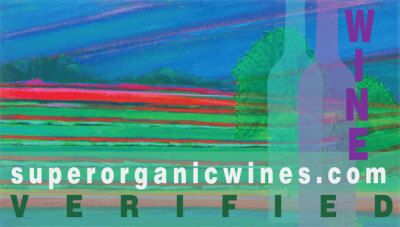 Those winemakers and wineries wishing to participate in the qualification process for verification of super organic criteria must first meet the standards required to achieve the first two levels of wine verification, encompassing non-GMO and addtive free of chemicals and artificial flavors and color, gluten free and vegan pure. Super organic necessitates the Eco-dynamic Scale or ES Score which is a four-tier, eco-dynamic evaluation with a 23 point guideline assigned to each tier for a total of 92 points out of 100 possible points. A panel of vineyardists and winemakers and at least one university expert will assess the qualities objectively and scientifically. The remaining 8 points are determined by a second panel of experts employing as much objectivity as humanly possible. 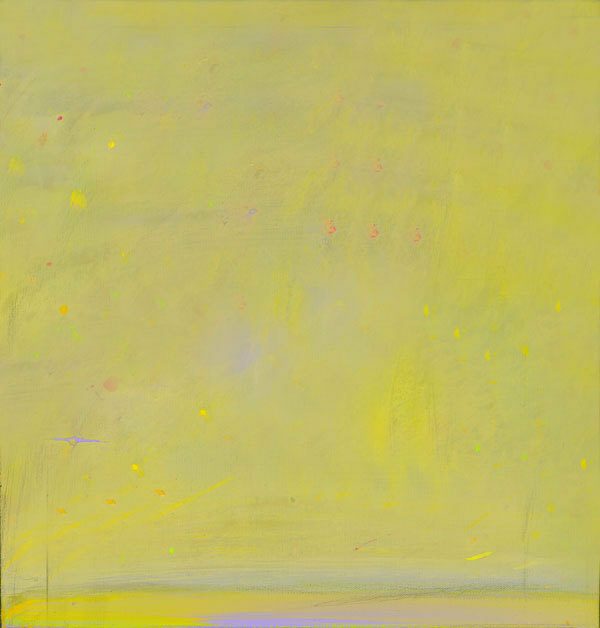 For instance, color and clarity, as it reflects quality, is probably best determined by the human eye. An ES Score is by its very design is a long, thoughtful, if not meticulous process, as any consequential and meaningful assessment of a scientific study. An ES Score is not determined to fit the release date of a certain wine or any commercial needs whatsoever. Although one of the primary purposes of Eco-dynamic Scoring is to influence fine wine growing and making and to encourage the dissemination and application of knowledge gained by such scoring. When verifications are accorded follow-up inspections will be conducted periodically, upon notice, to determine if any conditions or standards necessary for the verifications have been modified or changed. It has been well studied and researched and the scientific conclusions undisputed that if there are little to no natural nutrients in the soil, natural wine flavors and native structure are compromised. Even with nutrients and micronutrients in the soil, grape vines that are genetically modified, grafted and hybridized with different species have difficulty in the uptake of nutrients from the soil into the plant. it is proven through notable viticultural studies that GM (genetically modified) vines have lower resistance to disease and serious problems with exhibiting natural flavors and inherent complexity in the wine. The winemakers who draw upon these compromised and genetically altered grapes, which now dominate the world vineyards, believe they have no choice but to routinely add a vast array of chemicals in the wine making process (even by way of new oak barrels), many of them downright toxic (most “organic,” "biodynamic," "sustainable" wines rely on hybrid, GMO grapes). Super organic means no chemicals whatsoever in the wine-making as it is not needed for natural flavors and structure and in fact it would mask flavors if they were to be available. What is not addressed and perhaps more alarming is the effect alcohol itself has with its chemical intensification to even more dangerous levels. That is why chemicals in wine pose a more dangerous risk than chemicals in food.